Made of heavy hand painted porcelain. 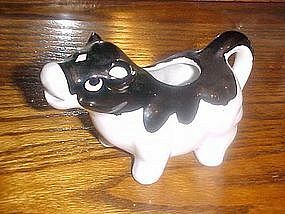 THis cow creamer is mqde in china. Cold paint decoration. Measures3 1/4" tall and is about 6" long. No chips or repairs, great shape.